CMS picked — surprise, surprise — California, Florida and New York as its three demonstration states. These three states account for over 25% of all Medicare expenditures. (See 2007 CMS report on national health expenditure data — most recent data from 2004). [The program] recouped $247.4 million in overpayments in fiscal year 2007. The program relies on private-sector auditing firms to examine claims filed by hospitals and other medical providers and then pays them contingency fees based on how much money they save the government. In FY 2007, auditors identified $357 million in overpayments, $17.8 million or 7.1% of which were overturned on appeal, according to CMS. Payments for contingency fees and other administrative expenses totaled $77.7 million. 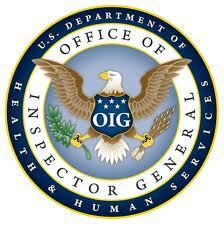 Auditors also found $14.3 million in Medicare underpayments. While supporters of the program say the contingency fees serve as an incentive, critics say it encourages auditors to rely on a "’bounty hunter’ payment mechanism." Kaiser Network Daily Health Policy Report, based on Wall Street Journal reporting. Update 1/29/08: In fact, a bill calling for a one-year moratorium on RAC activity was filed in the fall. Contingency fees have long been decried as a cause of aggressive collection tactics. CMS could mollify its critics in part by adopting a blended compensation formula for its RACs: part fixed, part contingent. It has already addressed a related concern and has instituted contingent fees for RAC-identified underpayments as well as overpayments. is expanded nationwide, auditing firms will be required to have a medical director and medical-coding experts, [and] return contingency fees for claims upheld on appeal. First of all, the enabling legislation requires use of qualified personnel — folks with "appropriate clinical knowledge of and experience with the payment rules and regulations under the Medicare program." Even if it didn’t, one would hope that CMS wouldn’t entrust a program of this magnitude to anyone not expert in the intricacies of Medicare coverage and billing. Second of all, the notion that it’s so hard to shake loose contingency fees in cases where the contractors’ denials are overturned is inexcusable. Here’s hoping the privatization of government functions doesn’t allow contractors to continue to stray quite so far off the reservation.